INBAR works with local partners to deliver key training sessions on community enterprise development for bamboo charcoal, an eco-friendly, economically viable alternative to wood charcoal. Since 2014, INBAR has been implementing the project South-South Knowledge Transfer Strategies in three African countries: Ethiopia, Tanzania and Madagascar. Supported by the International Fund for Agricultural Development and the European Union, this project supports local communities to develop pro-poor bamboo-based livelihoods, generate income, create jobs, and improve environmental management. 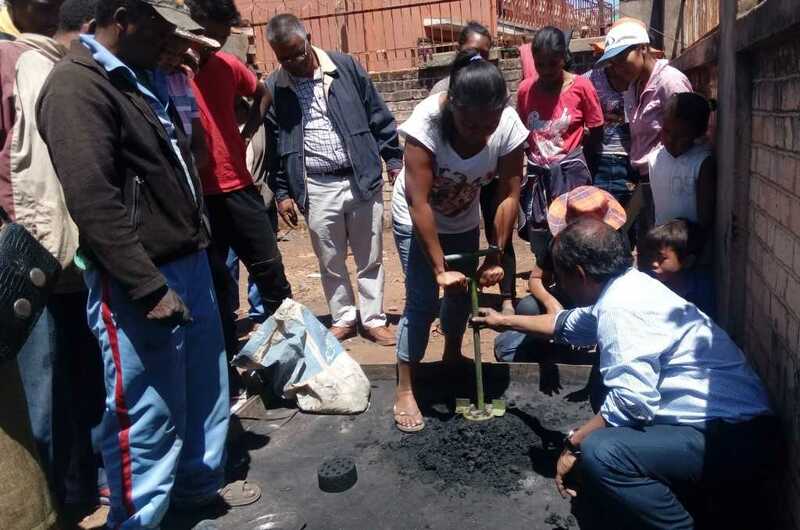 In Madagascar, recent activities have centred around developing a bamboo charcoal industry through community-led enterprise. 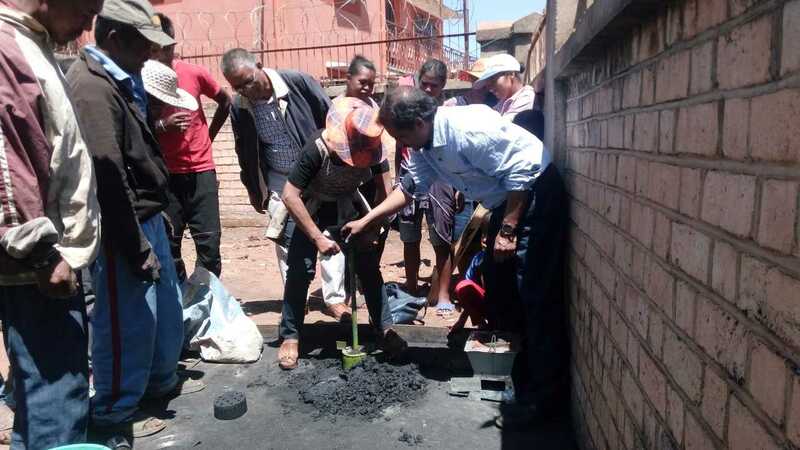 Bamboo charcoal is being promoted as an alternative to wood charcoal, which is traditionally produced by Madagascan farmers and burnt for fuel along with firewood itself. Wood fuel supplies the vast majority of household energy for most of the population of Madagascar. Wood charcoal production is environmentally damaging, results in large scale deforestation and soil runoff, and releases carbon stored in the wood into the air in the form of large amounts of carbon dioxide. In Madagascar, the forests which traditionally cover most of the island are under threat from logging, land conversion for agriculture, deforestation timber and fuel, and more. Viable alternatives to overexploiting forest resources are needed. Bamboo is notoriously fast growing, meaning it can grow to full size in much less time than trees, and once harvested will grow back without needing replanting – as it is biologically a grass. These properties make bamboo charcoal a viable alternative to wood charcoal, especially considering the need to protect and preserve already overstretched forest resources to meet carbon sequestration and biodiversity objectives, whilst ensuring the livelihoods of the millions of people who rely on charcoal for income and fuel. INBAR, in partnership with local partners PROGRAMME PROSPERER, an initiative run by the Ministry of Agriculture focussing on building capacity for entrepreneurship among young people in some of the country’s poorest areas, has been developing entreprise for bamboo charcoal in Madagascar. Over the last four years, a total of 1271 households, the majority of which are led by women, have been trained to produce quality charcoal from bamboo, using a hydraulic press to make the charcoal briquettes. 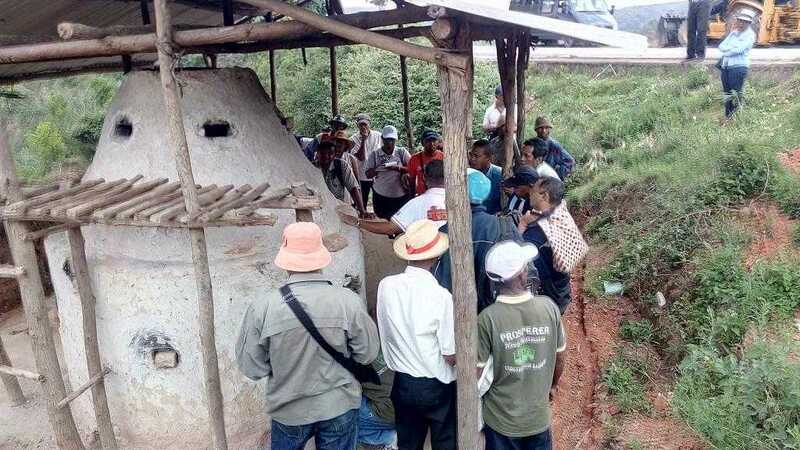 In addition, energy efficient stoves and charcoal kilns have been made and introduced, and some households have begun to use a mechanized system for charcoal production. However, the programme provides much more than the technical training necessary to produce bamboo charcoal: Participants have also been trained in entrepreneurship, including in organising mini-business clusters and technology transfer, and in putting together a viable business plan. Most recently, on 25-27 September 2018, an advanced training was conducted for 45 (12 Males and 33 Females) ‘business champions’ in Itos and Tongarivo in Madagascar. The participants focussed on setting up business units, product costing and on business plan preparation. This project is an excellent example of how bamboo can bring environmental and economic benefits to the community as well as contributing to the fight against climate change. 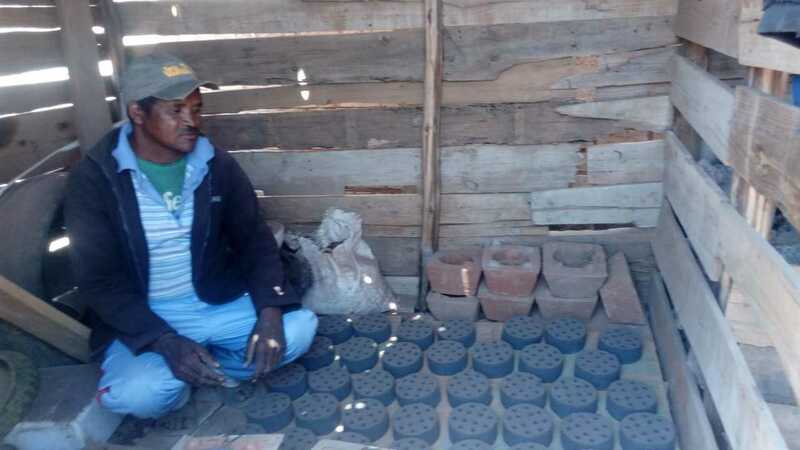 Bamboo briquettes produce less smoke and pollution than wood charcoal, so mean that local people, mostly women, can continue cooking in the traditional way but with a lower risk to health. It has reduced pressure on the rich and biodiverse forest of Madagascar, whilst also creating a space for talented local people to set up their own businesses, empowering women and their families in an area of the world afflicted by poverty. To read more about the South-South Knowledge Transfer Strategies project, click here. 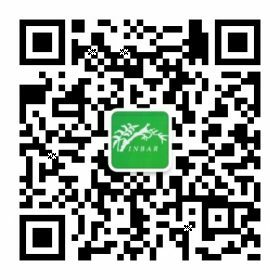 To read more about what INBAR does in Madagascar, click here.